DAVID LE/Staff photo. 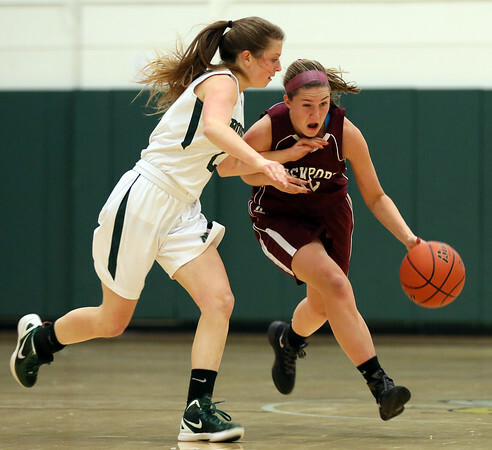 Rockport junior captain Rachel Haselgard, right, drives past Manchester-Essex junior Bridgett Kiernan, left. 12/23/15.